a joint in which the opposing bony surfaces are covered with a layer of hyaline cartilage or fibrocartilage within a joint cavity that contains synovial fluid, lined with synovial membrane and reinforced by a fibrous capsule and ligaments; and there is some degree of free movement possible. A freely movable joint in which the contributing (joint-facing) bones are covered by an articular capsule enclosed in a cavity lined by a synovial membrane and filled with synovial fluid. A joint in which (1) the opposing bony surfaces are covered with a layer of hyaline cartilage or fibrocartilage, (2) there is a joint cavity containing synovial fluid, lined with synovial membrane and reinforced by a fibrous capsule and ligaments, and (3) there is some degree of free movement possible. Synonym(s): articulatio [TA] , diarthrodial joint, diarthrosis, movable joint. of the nature of a diarthrosis. Pain, lack of power, symmetrical synovitis of diarthrodial joints, destructive changes in joints, functional losses, as well as associated cardiovascular, neurological and metabolic problems may be observed in these patients. 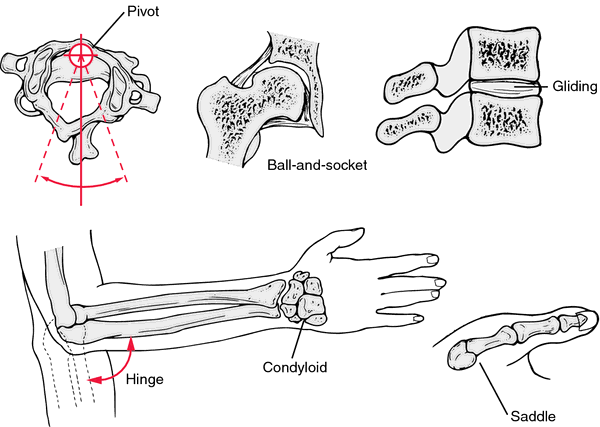 Cartilage and diarthrodial joints as paradigms for hierarchical materials and structures.